It’s back! And as ever, Formula One shows us that even when the most dominant of displays is promised, we have nothing to worry about. When Sebastian Vettel stormed to a two second lead on the first lap, I feared the worst, and had flashbacks of 2011, when Vettel played that trick 11 times in 19 races. But, after about lap four, the reigning world champion was fairly anonymous, simply unable to make the tyres work in the cool conditions. Other drivers showed themselves to be far more comfortable on the new rubber, certainly once they moved onto the medium tyres, and put in some pretty impressive performances. Jean-Éric Vergne may not have been in the points in the final reckoning, but it was a great drive by the Frenchman to come home twelfth, notably just two seconds behind the McLaren of Jenson Button in ninth. Vergne had made a slightly different strategy work to run in the top ten in the final few laps, until a late error cost him vital points. The performance merited points, and he had run as high as seventh in the race, but Vergne’s error costing him three places shows how close the midfield will be, including the likes of McLaren (for now), Sauber, Toro Rosso, Force India and Williams. It also shows just how far Toro Rosso have come in the past year, having been a way off the rest of the midfield last year. Vergne started on the supersoft tyres and, like many others, struggled to make the tyres last, dumping them before lap 10. From there, he ran a longer second stint, showing good tyre conservation, while staying in the fight for the tail end of the points. It was this long stint that put him in with a great shot of points, as he was then able to be more aggressive with his tyres later in the race. 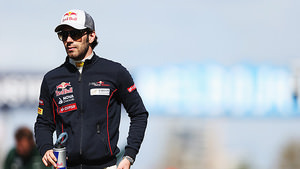 Although there was no reward for a very strong drive, it shows great signs for the young Frenchman, but it will be crucial for him to build from there, particularly if he is to mount a serious challenge for Mark Webber’s seat in 2014. The marmite man of F1 gave his fans something to cheer about. By his own admission, his stunning pace was a huge shock as he was able to fight at the front, and, arguably, have his best drive in F1. Everyone was left feeling a bit dejected, however, as he simply couldn't get the supersoft tyres working in his final stint and dropped down the field. In fact, he should have finished eighth, behind teammate Paul di Resta, but for the team having mercy and using team orders to keep Sutil seventh in the final few laps as Di Resta closed the gap by seconds per lap. Other than putting his name back out there, Sutil also had a huge impact on the race, stopping Sebastian Vettel scampering away from Fernando Alonso and destroying both of their three stop strategies. Sutil wasn't just fast enough to restrain Vettel, he also showed that he was managing the tyres too, as he made his first set of medium tyres last as long as Vettel could go on options and the mediums put together. 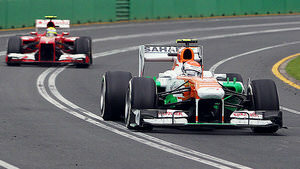 It was just a shame that on pace alone, Sutil should have finished behind Di Resta after such a great drive. I have been one of the biggest critics of Force India being far too conventional and conservative with their strategy, hindering Paul di Resta’s performance. But this week they did the opposite, stopping Sutil for his final stop too early and becoming easy meat for Lewis Hamilton and Mark Webber. Had they been more conservative and stayed on the medium tyres a few laps longer, Sutil could have finished closer than he did with much fresher tyres. The main reason that Adrian Sutil had to perform this weekend was to justify his choice at Force India over Jules Bianchi. In the end, both shone. Once he was calmed down by the team (his temperament has always been a concern, leading to the team getting him in a “good place” pre-race), Bianchi finished just 15th out of 18 finishers, but that’s not the story that should define his debut weekend. 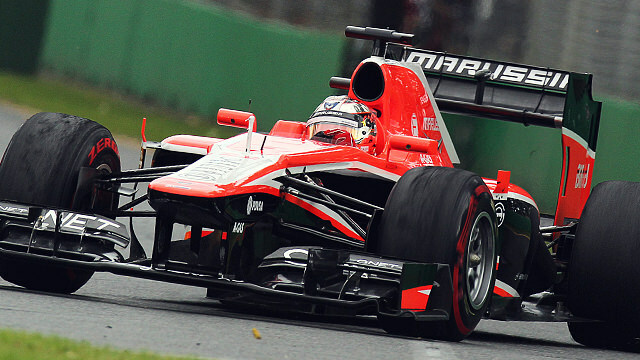 Without a doubt, Bianchi was the best of the 2013 class. He was fastest of the back markers by eight tenths in a very wet qualifying. In fact, he was within half a tenth of both Pastor Maldonado and Esteban Gutiérrez, and only eight tenths from progressing to Q2. Admittedly, this was in the wet, but the pace cannot be denied. Then he really turned on the style on Sunday. 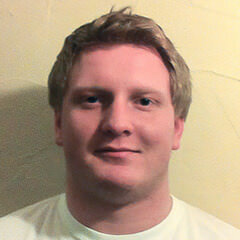 He was the only one from the class B teams to be lapped just once, as the others only completed 56 laps each. And then there was his fastest lap. A 1:30.454 is a time that speaks volumes. It was posted on lap 52 of 57, showing that fatigue has little effect on him, but more to the point, it was nearly two seconds faster than teammate Max Chilton and the Caterhams, and the 11th best lap time of the race. Again there is a condition; because Bianchi started on the medium tyres, he had the same strategy as Sutil and did a short final stint on the supersofts, allowing him to show his true pace on low fuel. That said, his best was three tenths faster than Sutil’s: this kid is the real deal. Many pointed out how it was great to see that Alonso was not getting preferential treatment to Massa in Australia, after the Brazilian had qualified better and had led the fight to Alonso in the first stint. He got priority at the first stop, but then Ferrari played their old trick and blindsided Massa by stopping Alonso a few laps earlier, then denying his opportunity to pit, and hindering his opportunity to jump Vettel and stay ahead of Alonso. Massa deserved a fair crack of the whip; he had the same number of points going into the weekend, and had outperformed him until the team intervened. He wasn’t holding Alonso up, in fact, if anything, he was held up by Vettel in the first two stints. Massa performed on Sunday, but still didn’t gain the respect of his team. How can we forget about the race winner? Despite being in with an outside shot midway through the race, he was dominant. He made a two stop strategy work, far better than anyone else and, with the aid of Adrian Sutil, was able to close in on the Ferraris and Sebastian Vettel, while not taking too much out of his tyres. He managed to hold until lap 10 on the supersofts, and that meant that he was able to split the last 48 laps between two stints on the medium tyres, just about manageable with the new Pirelli tyres. Räikkönen may have benefitted from cool conditions that played towards the Lotus and against the Red Bull. But, with a pretty convincing win, it is clear that the Lotus has good pace and is easy on its tyres. Lotus could have had a better result too. Romain Grosjean didn’t get time in practice on Friday to try out the new parts, and only saw the effect in the wet, making him unable to set the car up perfectly, which explains some of the 82 second gap between them. However, all eyes will be on him to improve in Malaysia.